We are proud of the wide array of fine arts options that we are able to provide for our students. We have an amazing staff that helps train and prepare our students for the various performances throughout the year. We want you to use this page to learn more about these exciting opportunities, as well as upcoming productions and performances. 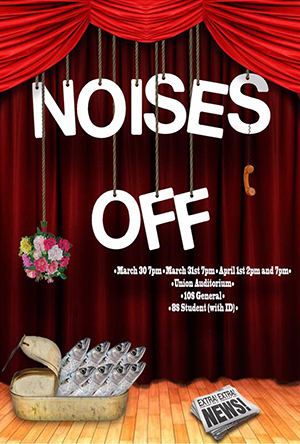 The Mission Oak Drama Department presents their spring production of Noises Off, a play by Michael Frayn. Our drama teacher, Rebecca Zegers, is directing the production with assistance from Jennifer Hamilton. Set design is by Mike Hamilton. We have a very diverse music program, directed by Mr. Oddie Lambert. Our school offers advanced band, intermediate band, jazz band, orchestra, and color guard. Our new orchestra program is growing very quickly. All of our music programs have festivals during the spring. Our music program also offers after-school activities such as marching band, winter drumline, winter color guard and mariachi. Our art classes offer students an opportunity to be creative while learning classic styles and techniques. We offer art concepts, advanced art concepts, ceramics (1 and 2), and three dimensional art. These classes teach students different forms of art. Drawing, painting, sculpting, and even using cardboard to create masks - students stay creative throughout the year. We offer a graphic design course called Design Concepts. The class allows students to use programs like Adobe Photoshop and Illustrator by working on projects such as re-creating logos, modernizing designs, and re-creating them in the student's own unique way to make something new and meaningful. Our dance program is directed by Mrs. Kymber DeLaCruz. Our school offers intro to dance. 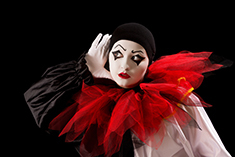 During the course you will learn many different genres of dance. At the end of the year we have a rally where dance class students perform routines they have learned over the school year.